Some days my tenacity and enthusiasm escape me. My get up and go either gets up and goes before I have stirred, or more likely hides under the bed where I’ll not look for it (we all know monsters hide under beds). Today is one of those days. A plague has struck our house. My son has spent the last couple of days either coughing or puking. My normally resilient wife is shuffling around like a sniffling zombie. I suffering from man-flu with the added bonus of child induced sleep deprivation. To make matters worse I’ve taken extra leave from work this week as there are 101 things I want to get done before heading away for the weekend. On the bright side, these things only normally last a few days so I should be better soon. Armed with some Balm tissues and a supply of Lemsip I have been able to battle on. Yesterday I managed to build my new 3D printer with my son. This was some quality father and son time. He did not participate in the whole 10-hour build (much longer than I expected) but he helped for a good few hours and checked in regularly after that. Last night I was lacking the cognitive function to complete the calibration and test build (I tried several times and then gave up) so at the top of my mental to-do list (and my sons) was to complete a successful test print today (and then no doubt print some Minecraft related things). As is often the case I woke this morning with a couple of theories to solve my problems. I reasoned there are probably 3 reasons the test prints might be failing(wrong print bed height, wrong print bed temperature, wrong extruder temperature). With a big mug of tea, I sat at my computer to diagnose the fault and work out a solution. Alas, it was not to be. My head is a fuzzy mess due to lack of sleep. I can’t concentrate and the Lemsip is not helping. I self-aware enough to realise if I continue down this path I am unlikely to fix the problem and I am likely to get frustrated. This makes a cuppa, a blanket and an Amazon Prime binge very appealing. However, if I binge on TV I am likely to look back on my time off and feel disappointed. This is where it’s time to consider what I can do rather than agonise over what I can’t. As a dyspraxic dyslexic, this is a common state for me. I am unlikely to achieve anything today that requires much thought. Time to change tack. Rather than reviewing my to-do list with a view to tackling them in priority order, I need to find a task that will be uplifting. It did not take me long to scan my journal and find a productive use for my time. I am a fan of batch cooking to make healthy convenient meals. I expect January will be a busy month at work. Having healthy home cooked meals in the freezer will keep me on track if I get home late and hungry. After 2 hours in the kitchen, I’ve got 8 evening meals portioned up and probably 10 portions of soup for lunch simmering on the stove. Perking me up enough to write this blog. Time management is not an effective way to think about productivity in the modern age. 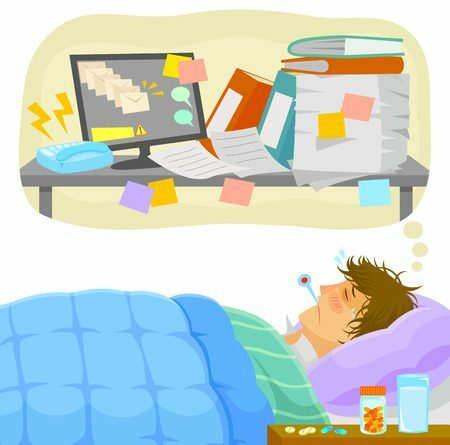 Even if you are not feeling ill. Getting stuff done is about managing priorities, managing energy levels and managing mental state. 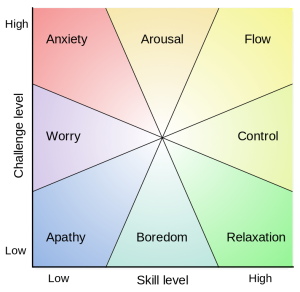 Next time you don’t feel engaged with the task at hand consider if a different task might be a more effective use of your time and energy using the experience fluctuation model.